Attention Developers: This R3 zoned lot is ripe for development. There are three options available. Option one is to keep the current house and subdivide 6 bare land strata lots. Option two is to keep the current house and subdivide 3 duplex lots and 1 small bare land strata lot. Option three is to develop in conjunction with the neighbouring property where you can keep the current house and subdivide 7 bare land strata lots. Drawing are available please call quick before this amazing opportunity passes you by. Why you should choose us to serve your real estate needs? 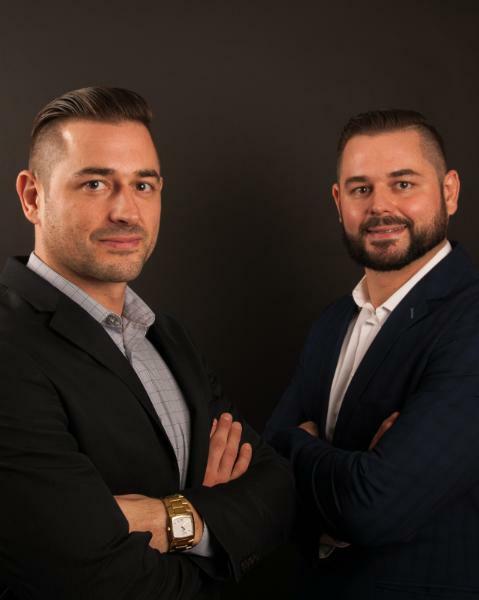 Aaron and Darron were born and raised in Victoria BC, giving them a vast knowledge of Victoria and its diverse real estate market. Aaron became a licensed Pemberton Holmes Real Estate Agent in 2005 with Darron joining shortly afterwards in 2006. Together they have successfully achieved multiple MLS awards including MLS Gold and are repeat Cuthbert Holmes Award (Top Ten Percent of Salespeople) winners. The world of real estate is Aaron’s passion, second only to his family. As a devoted husband and dedicated father, Aaron understands the needs of a family and uses his compassion and integrity to achieve client happiness. Aaron brings an energetic spirit and unwavering commitment to providing his clients with exceptional service by exceeding their expectations and enriching their lives. Darron believes it is imperative to keep current with the real estate market. He is a focused individual whose determination and persistence has led to continuous client successes in real estate. He is a proud father and husband, and is committed to helping his clients accomplish their goals. Together Aaron and Darron are proven negotiators and getting you maximum value for your home is their highest priority. They are dependable and accountable and will make themselves available to you any time of the day. By choosing them to be your realtors not only will you have a wonderful real estate experience but new friends too! The blue circle drawn on the map represents the area which is most likely to contain listings comparable to 2150 Melrick Pl. If you wish, you may adjust the circle by dragging the white center handle to move it, or dragging one of its other white handles to resize it. Press the 'Next' button at the top when finished.